LINCOLN, Neb. – Hearings for TransCanada Corp.’s US$8 billion Keystone XL proposal in Nebraska focused on granular details of the project Tuesday, specifically the Alberta-to-Texas pipeline’s impact on the dirt and soil in the agricultural state. 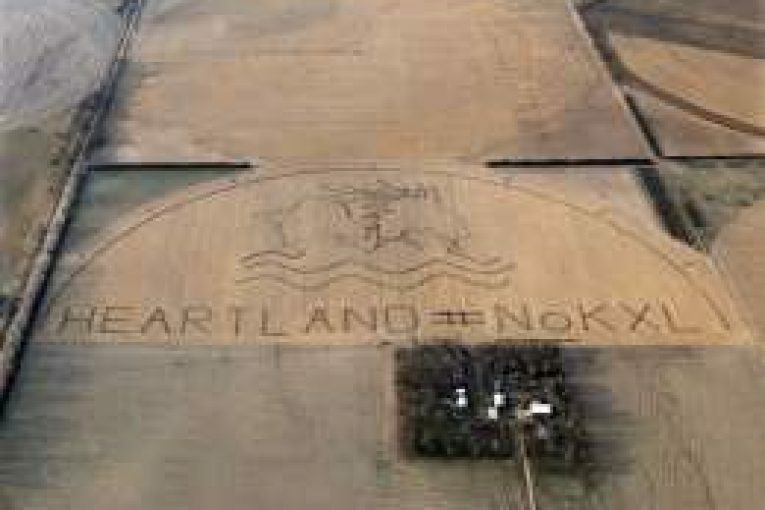 Lawyers for landowners opposed to the project grilled TransCanada experts on whether Keystone XL would permanently affect the soil in Nebraska and whether it would affect the yield of crops such as corn – an iconic midwest produce. The Nebraska Public Service Commission’s hearings are playing out in the Lincoln Marriot Cornhusker Hotel this week and are expected to be the last step in a regulatory process that has dragged on for nine years. Approximately 50 landowners attending the hearings audibly groaned at one point when TransCanada soils expert John Beaver said the responsibility for the line would revert to the landowners at the end of the project’s commercial life after 50 years of operations. “I believe it reverts to the landowner,” Beaver said. The TransCanada expert was also queried on the seeds the company would use to re-vegetate the pipeline’s right of way and what depth the top soil should be once the pipeline was built. If the commission recommends Keystone XL is in the public interest of the state by the end of November, construction could begin on the pipeline in 2018, wrap up two years later, and deliver 830,000 barrels of oil per day between Alberta and U.S. Gulf Coast refineries for half a century. Michael Portnoy, a geologist from Houston who did a study creating an inventory of soils for TransCanada, also answered granular questions about soil permeability and the roundness of rocks and types of soils in various parts of the state – which is at the centre of the controversy surrounding the pipeline in the state. A contentious issue in Nebraska is whether Keystone XL will impact the state’s appropriately-named Sand Hills and the nearby sandy soils. TransCanada has already built and is operating a smaller Keystone pipeline approved in 2008 through the eastern edge of Nebraska, which avoids the sandier part of the western state. The impact on the Sand Hills was one reason former U.S. president Barack Obama required further reviews of the Keystone XL pipeline, extending the regulatory process. The issue with the soil, Miller said, is it’s so porous that oil spilled in the area can seep down deeper than expected into the ground. He’s opposed to Keystone XL, which crosses his farm and pasture, and said land values will drop from their current levels of US$1,900 per acre if approved. “I think it’s going to go down to half that,” Miller said. The potential for oil spills is considered outside the scope of what the Nebraska Public Service Commission can consider in making its determination on the pipeline because it already has a federal environmental permit. Asked whether or not he was concerned that, if approved, TransCanada could use eminent domain laws to use the land in spite of his concerns, Miller said he was concerned but added eminent domain is intended for public utilities like water, electricity wires and roadways, not pipelines. Lawyers representing Miller and 90 other opposed landowners questioned TransCanada consultants throughout Tuesday on whether or not another route, for example a route closer to the existing Keystone pipeline system in the western part of the state would be more appropriate. The existing Keystone pipeline approved in 2008 also crosses only two major rivers in the state as opposed to the proposed Keystone XL, which would cross five rivers and raises the possibility for more impact on wildlife. Jon Schmidt, a biologist who consulted for TransCanada on Keystone XL, also testified Tuesday on whether the proposed route would impact species like endangered whooping cranes. “They don’t nest here, they fly though the state,” Schmidt said of whooping cranes, in answer to questions about the location of the route and it’s impact on migrating birds.